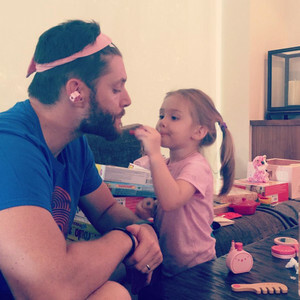 Jensen and JJ. On Father's day 2016. Wallpaper and background images in the Jensen Ackles club tagged: photo jensen ackles jj ackles justice jay ackles ackles 2016. This Jensen Ackles photo might contain milk.